My husband and I are avid readers. Although I don't read quite as many books as I wish I did for lack of time, I am always browsing for my next great read. My bookshelves are filled with books I plan on reading someday, "when I have more time" and my iPad loaded with the latest best-sellers. 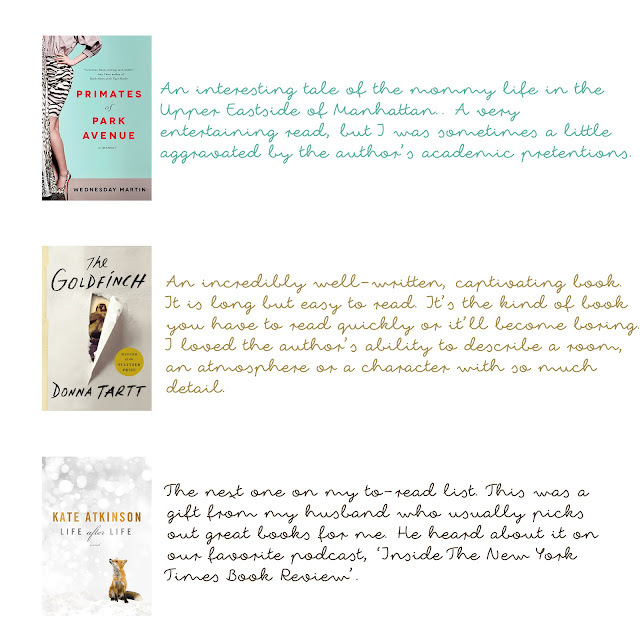 Here is a little review on the latest books I've read, plus a quick note on the next title on my to-read list. Do you like ebooks or are you more of a paper book person? I just finished Girlboss by Sophia Amoruso. And I prefer real books for sure.